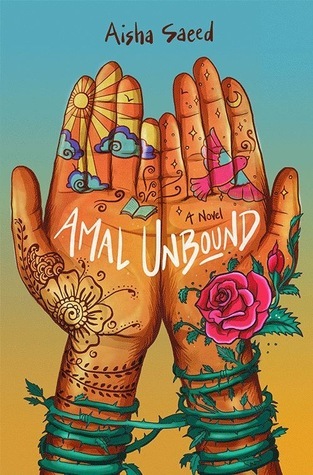 Amal Unbound is a powerful and heart-wrenching story, but it still manages to be hopeful and uplifting. Aisha Saeed has created a beautiful balance between showing us the real, harrowing stuff, while still having semi-happy moments in the book that keep the book from being incredibly heavy. I ended up reading this book in one sitting, which says a lot because I almost never do that. Sure, sometimes I read a book in a day, but reading it without a single break? Never. (Okay, maybe I grabbed something to drink once, but that’s it.) I couldn’t put it down. I was captivated by the main character, Amal, and I wanted to know what was going to happen to her. It’s quite ridiculous how attached I felt to this character within just a few pages, but Amal was just such a great character. She’s incredibly intelligent, brave and selfless, and she deserves the world. She wants to be a teacher when she grows up, and she greatly admires her own teacher, but when she is forced to give up on her dream because her life takes a turn, your heart just breaks for her. Amal Unbound was a very touching and important read, and I’d definitely recommend it to anyone.